I’ve long known that one of the second Earl of Chatham’s closest friends was Charles Manners, 4th Duke of Rutland (1754-1787). John seems to have made a habit of befriending Lords Lieutenant of Ireland: along with Rutland, who was in Ireland 1784-7, John was also close to Lord Westmorland (1789-94) and Lord Camden (1795-8). Rutland, however, seems to have been an especially close friend. Rutland was close to both Pitt brothers, but I definitely get the impression that John was the one Rutland felt closest to. Politically and personally, Rutland was strongly drawn to the Pitt family. His father, Lord Granby, had aligned himself with the Earl of Chatham and, although Rutland entered Parliament under the auspices of the Marquis of Rockingham, Rutland’s political position seems to have placed him quite firmly in the Chathamite camp. I am not sure how he initially came into contact with the Pitt brothers— perhaps he met William at Cambridge, but then again he and John might have met first in the salons and clubs of London. “My dear Friend, I wrote you a Letter from Liverpool dated Oct 6th, but not choosing that it should be quite so publick as if it was stuck up at Charing Cross or Published in ye Morning Post which it probably would have been had it passed thro’ ye Channel of ye Post Office, I sent it to Mr Thoroton [?] desiring that he would find out some safe Conveyance [to Gibraltar, where John then was]: but none offering, I rather choose to run any risk than be deemed deficient in any one Point of Friendship or attention to a man for whom I profess & most sincerely do feel so much”. “My dearest Friend, I am most miserable in the thoughts of not seeing you once again previously to your departure … Lord Amherst has consented to call the Regiment after my name, & has written to me a Polite Letter on the Occasion; as if all the disappointments which I have experienced in raising the Battallion [sic] were to be Entirely Cancelled & obliterated by the single act of Empty Civility. But now my dear Lord, give me Leave to thank you in the Sincerest Manner for the Great Honor you have done me in trusting me with your Proxy [vote in the House of Lords]. Such an unequivocal testimony such a Publick distinguished Demonstration of Confidence from one whose Good Opinion & Friendship is the Pride & Pleasure of my Life is a Circumstance too affecting, for me to be able to Express the Satisfaction I feel upon it in terms adequate to my Sensations. “I am of Lord Lansdown’s mind in regard to Polliticks [sic], preferring Planting & retirement, I confess I begin to grow ennui’d; My Habits lead me to Indolence & to live [?] & [?] & I would rather be at Belvoir breaking my neck all morning, & Bottles & Glasses all ye Evening than Disposing of Bishopricks Peerages &c, However Pleasant Power & Patronage most certainly is. But yet the Little Ambition I have in my Composition & the great attachment which I bear to yourself & your family bind me to my present Situation[.] As long as I can render Service to our Country & Strengthen your Brother’s able and Honorable Government I shall never desert you. & by the Strict Union which subsists between us we shall ever mutually assist each other. God Bless you my dear Friend & love you as much as I do. I am ever unalterably yours, Rutland”. John had planned to visit Rutland in Ireland in the summers of 1784 and 1785, but on both occasions had to put off his plans due to the bad health of his wife. He eventually managed, alone, in the summer of 1786, and spent three weeks in Dublin. It was not a wholly successful visit— political relations between Dublin and Westminster had been fraught since the Irish Commercial Propositions had failed in 1785, and the newspapers were agog with the possibilities offered by the Minister’s brother making a personal visit to the Lord Lieutenant— but it was the last time John and Rutland were to meet. Rutland died on 24 October 1787 of a disease of the liver, probably due to the “Bottles & Glasses all ye Evening” he had confessed to prefer to the ins and outs of political life. In a final testimony to friendship Rutland made provision in his will for John and William to become joint guardians to his children. Thus passed a great friendship. John maintained ties to the Rutland family long after the Duke died; he remained good friends with the Dowager Duchess, rented the Duke’s hunting lodge of Cheveley (more on this later) for ten years from 1787 to 1797, and continued to visit the Rutland children at Belvoir on a reasonably regular basis. As late as 1825 (7 November, the Times) he was to be found hunting with the Duke of Rutland on his estates. I must say that until yesterday I was not fully aware of the extent to which John and Rutland were good friends. “Ever unalterably yours” indeed: I can truly say I have never seen anyone else signing off to John in such a manner. I think it’s high time I devoted a whole post to Mary, Countess of Chatham, because she’s basically invisible in the history books and I think people need to know more about her. It’s no secret that I have a total crush on her husband, but I’m kind of half in love with Mary as well. She was born Mary Elizabeth Townshend on 2 September 1762, second daughter of Thomas Townshend (later Lord Sydney, the man who gave his name to the Australian city) and his wife Elizabeth Powys. Townshend had early on linked his political fortunes to the career of William Pitt the Elder, and although the two men were not especially close they were good friends. Their country homes (Frognall for the Townshends, Hayes for the Pitts) were quite close by and the Pitt and older Townshend children almost certainly saw a great deal of each other. 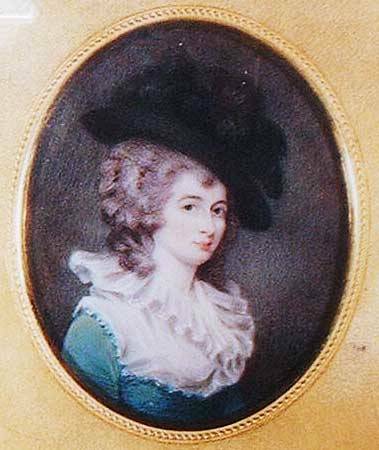 Mary and her elder sister Georgiana remained close friends with Lady Harriot Pitt, who was described in 1782 by Elizabeth Townshend as “my third daughter” (PRO 30/8/60 f 235, 11 July 1782). Sometime over the summer of 1782 John, Second Earl of Chatham became romantically linked with Miss Mary Townshend and there were of course rumours that they would marry. The Townshends appear to have been delighted about this, as well they might given the long-standing friendship between the two families, but for reasons that are unclear John did not actually propose until June 1783. (John Ehrman in The Years of Acclaim (1969, p 110) describes it as “a characteristically lethargic courtship”, but then Ehrman doesn’t seem to like John much). 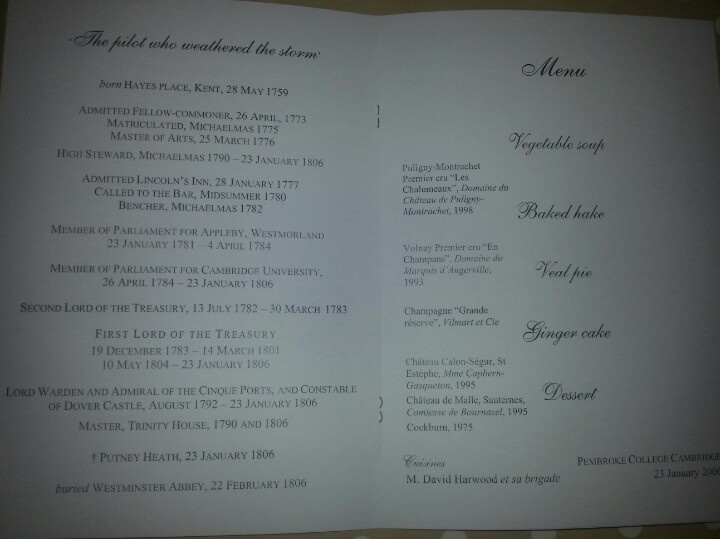 The wedding took place by special licence on 10 July at the Townshends’ townhouse of Albemarle Street. All involved thought it particularly fitting that the couple should have known each other since childhood. 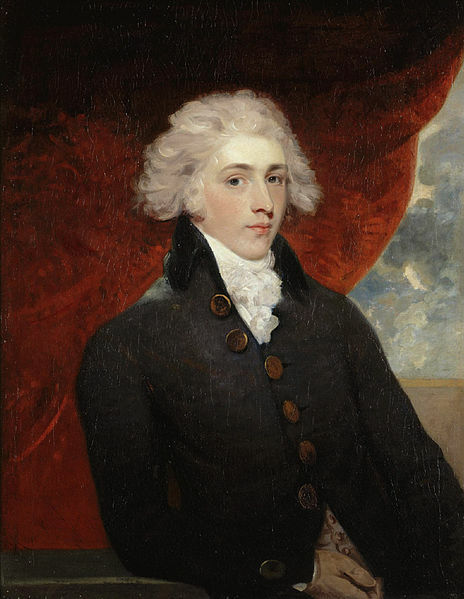 “We feel at present the full Value of the Vicinity of Hayes & Frognall, which I have indeed long been used to look upon as one of the most fortunate Circumstances of my Life,” Lord Sydney wrote to Lady Chatham (PRO 30/8/60, f 207, 17 July 1783). Apart from this, not a great deal is known about Mary. What little there is has to be extracted from the sources available, and often what is not said is as important as what is said. The fact that Mary did not become a prominent political hostess, for example—despite being the Prime Minister’s sister-in-law— suggests that she was far from the sort of person who courted publicity or celebrity. And yet she was not completely off the scene. She usually accompanied her husband to Court events, and became friendly with the older daughters of George III, particularly Sophia and Elizabeth. She was active in canvassing for Lord Hood in the 1788 Westminster by-election and took a central part in the 1789 celebrations for the King’s recovery from his mental illness. When the news of the Glorious First of June naval battle arrived in 1794, it was Mary who made the first public announcement at the theatre. Reticent, then, but not completely self-effacing, and she seems to have been something of a trend-setter: she often appears in newspaper accounts of court dress (as does her husband, who seems to have been a much nattier dresser than his brother). Perhaps part of the reason that Mary did not take such a prominent political role was her health. Family correspondence is scattered with references to her “rheumatism” as early as 1782, and she seems occasionally to have been virtually crippled by it. Part of her treatment for it sounds rather alarming. Her sister Georgiana wrote in March 1785 to the Dowager Lady Chatham that Mary “has been twice at Mr Partingdon’s to be Electrified & finds great benefit from being Electrified with his large Machine [….. now now, don’t laugh, gentle reader]; it is much efficacious” (PRO 30/8/64). Between April 1784 and the summer of 1786 she seems to have been ill almost constantly, and John postponed a visit to Ireland in the summer of 1785 for her sake. Whether this ill health had any connection with Mary’s lack of fertility is an interesting question. She never carried a child to term, although it’s not entirely clear whether or not she had any miscarriages. I’ve found at least one instance in which she seems to have been referred to in correspondence as pregnant, so it seems quite likely that there was at least one, and probably more, missed opportunities to continue the Chatham line. One thing is for sure, the reason for Mary not having a child was not due to any lack of affection between her and her husband. Lady Hester Stanhope, his niece, told her doctor that “Lord Chatham never travelled without a mistress” (Memoirs II, 69), but Lady Hester had a bit of an axe to grind and if she was telling the truth I can’t work out when he would have managed. Mary and John literally went everywhere together. Maybe Mary was very suspicious and didn’t want to let him out of her sight; maybe (and here’s a shock) they were actually fond of each other. The newspapers are always full of “Lord and Lady Chatham” this and “Lord and Lady Chatham” that. As far as I can see the longest periods they were apart during the period I have studied in detail (up to 1806) was the three week period in 1786 when John was in Ireland, and the six weeks when John was in Holland during the 1799 Helder Campaign (and even then Mary spent the entire time waiting for him in Ramsgate… sweet or what?). She seems to have followed him to the various military districts to which he was appointed commander, and even appears by his side at dinners at which no other woman was present. Honestly, it’s really sweet to see. No letters between them survive (and I know some were written … waaaaah, what I wouldn’t give to see them!) but otherwise they definitely came as a pair. I’m trying to rescue the reputation of the Second Earl of Chatham here, and he’s NOT HELPING. “I never saw a fuller Court [it was the King’s official birthday celebrations] … I staid longer than usual for the sake of bringing Mrs Wilson an account of our Blue Ribbon [John, Earl of Chatham, a Knight of the Garter since December 1790]. His Lordship did not exhibit it till near half after four; Lady Chatham had been there full an hour before, but he came at last & I did not think he look’d amiss in it”. Half past four o’clock in the afternoon?!?!? A little while ago, ardentpittite drew my attention to a book listing all the portraits painted by the artist George Romney and their sitters. The book can be found here. John sat for his portrait primarily in May and June 1783 (around the time he proposed to his future wife Mary Townshend), and William mainly in July 1783. Interestingly, the portraits were commissioned by Rev. Edward Wilson, their childhood tutor, for his vicarage at Binfield near Windsor. While at the archives yesterday I spent some time searching through Wilson’s letters to the Dowager Countess of Chatham. 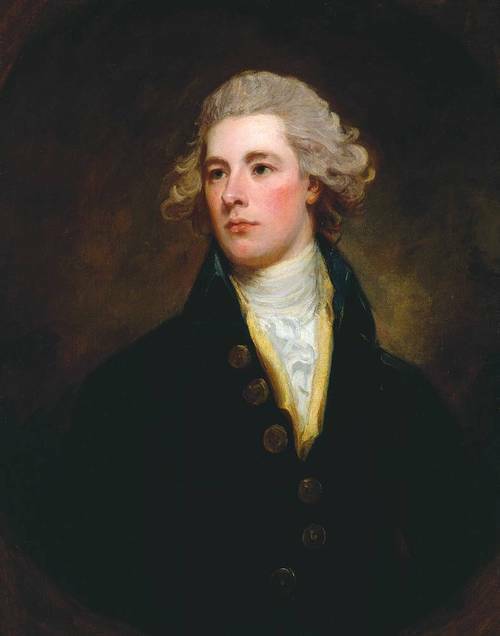 Wilson remained a family connection long after the Pitt children grew up, and it turns out that his letters to Lady Chatham are full of lovely little details about them, particularly John and William, the only two who managed to live beyond the age of thirty. Wilson was clearly very proud of William, for obvious reasons, but he seems also to have been very fond of John too, and it’s not John’s fault that nearly all historians who have quoted from Wilson’s letters cut him out almost entirely from them. “I must not forget to tell your Ladyship that we have had an accession to the Parsonage within these few days that has occupied no small share of our attention during our improvements viz my Lord Chatham’s Picture by Romney. It arriv’d four days ago, & we all think it an admirable likeness, & a charming Picture. It is in quite a plain undress; but we are all agreed that it is the richest ornament we cou’d have [on one] side of our Chimney; & I hope before long to match it [with] another as rich by the same hand. … The Picture has been in a very advanc’d state a great while, & I think the likeness admirably caught but somebody has been simple enough to say they thought otherwise, & that damper added to an infinity of business does but ill accord with our longings”. So next time you see the above Pitt portrait knocking about on tumblr or elsewhere, remember: it was commissioned for the man who taught the boy to read and write. I reckon he had a right to be proud. I actually don’t think it looks much like him at all … although I guess, given I have never actually met him in person (and I’m never going to unless I get my hands on that time machine), this could be the most accurate of all the portrayals. 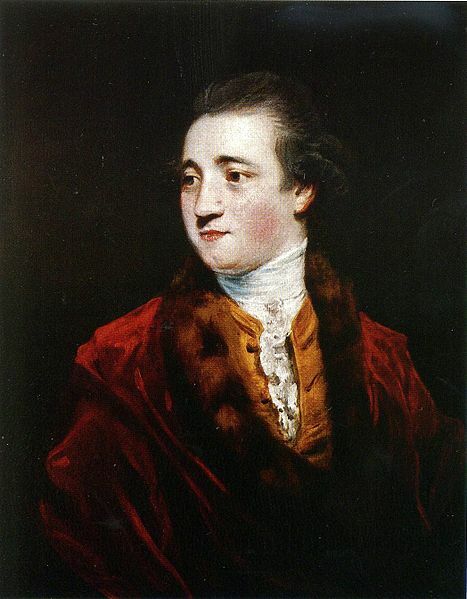 I have a feeling it was painted in 1786 when John was in Ireland for a few weeks, so maybe it was done quite hurriedly on a spur-of-the-moment decision after a night on the lash with the Duke of Rutland (would explain the expression anyway). But I just don’t like it. Sorry. There was some provenance for the print, but I stupidly assumed they would send it to me so didn’t note it down. Will have to email. That was one well wrapped parcel — paper, bubble wrap, cling film (yes you read that right), sealed card, tissue paper and the above. I think getting into Fort Knox would have been easier. It’s huge — about A3! Also have now received notice of the provenance of the print. It belonged to William Fitzwilliam Burton of Burton Hall, Carlow, Ireland (1796-1844). No idea who had it between 1844 and 2013, but it’s mine now, muahahahahahaha.